Appleton. Maggie. 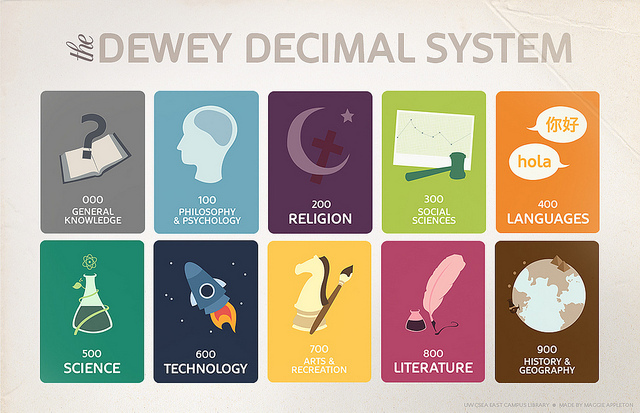 “The Dewey Decimal System.” Online Image. Flickr. Flickr. 6 July 2011. Web. 25 Sept 2015. <https://www.flickr.com/photos/appletonmaggie /5907672591>. Dewey, Melvil. “The Dewey Decimal Rap.” Online video clip. YouTube. YouTube, 10 Mar. 2009.